﻿﻿﻿﻿﻿﻿﻿﻿SEO is a good tool for marketers in targeting, as it forces them to go through the exercise of mapping out their content and the hierarchy of categories, topics and ideas. It also forces them to pinpoint the focus of content they create for their website (and helps them avoid creating useless content written to a general audience). Use a unique and relevant page title and meta description on every page. The page title is the single most important on-page SEO factor. When search engines crawl a site, the page title is the first thing they see. Generic titles like "home" or your company name are not strong. The meta description tag won’t help you rank, but it will often appear as the text snippet below your listing, so it should include the relevant keyword(s) and be written so as to encourage searchers to click on your listing (assists with click-through from search engine result pages (SERPs). These short paragraphs are a company’s opportunity to advertise content to searchers and let them know exactly what the given page has with regard to what they’re looking for). 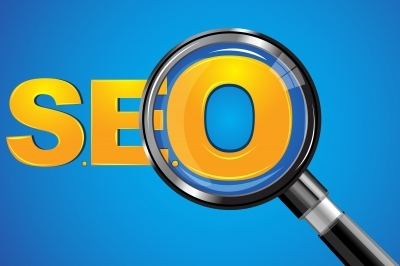 Optimize individual pages with keywords - helps with ranking. Marketers know that differentiation is key. They also know that users will search for key words to locate what they need. It is important to weave your keywords into the text on your website. According to Dedric Polite at the HubSpot blog, to witness the power of an ideally optimized page, look at the Google search. For example, conduct a Google search on the term "George Washington." Your first result, he notes, will belong to Wikipedia for two key reasons: perfect on-page SEO structure, and the strong off-page SEO of inbound links from respected sources. Include a site map page. Spiders can’t index pages that can’t be crawled. A site map will help spiders find all the important pages on your site, and help the spider understand your site’s hierarchy. If your site is large, make several site map pages. Keep each one to less than 100 links. Make SEO-friendly URLs. Use keywords in your URLs, such as yourcompany.com/dress-shoes.html. Don’t overdo it, though. A file with more than 3 hyphens tends to look like spam and users may be hesitant to click on it. The more descriptive, the better for spiders. Ensure Fresh Content on Your Site. If your site content doesn’t change often, consider adding a blog, as spiders like fresh text. Blog at least once a week with relevant, fresh content to feed the spiders. As part of an SEM strategy, firms are not only utilizing SEO, but also paid searches (Google Ad words, digital ads with pay per click, etc.). No matter what your digital strategy, at a minimum, ensure you know what results you are looking for with your SEM/SEO strategy. This will help ensure your time and dollars are contributing to your revenue goals or visibility objectives.